Michael Jackson ONE by Cirque du Soleil Las Vegas is a magical show that extends the King of Pop’s message of harmony, unity and hope for a better world. This 90-minute show with no intermission is a super event that is a collaboration of Cirque du Soleil and the Estate of Michael Jackson. 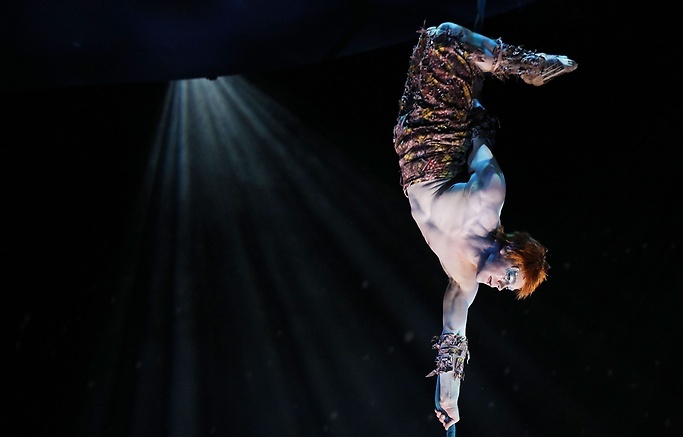 This Cirque du Soleil show will satisfy audiences with the spectacular acrobats, aerialists and dances which will put a spotlight on the better qualities of people and life around the world. This high energy production focuses on good versus evil themes as well as friends overcoming adversity while they travel through life. There are four main characters during Michael Jackson ONE ; Clumsy, Smarty Pants, Shy and Sneaky. Each character represents a different angle on life and once they receive their gift from Michael their lives change forever. During the production Clumsy receives a pair of Michael’s shoes from the Magical Trunk. To exhibit Clumsy’s new balancing skills to the audience, there is a wonderful double slackline performance to the hit song Bad. The artistic expression on stage is fabulous with additional multimedia effects. Once Shy is given a pair of Michael’s glasses she is able to fight an evil group of warriors putting on a display of her martial arts skills while 2000 Watts and Jam rumble your seat. The leader of the group is given Michael’s hat and Smarty Pants releases the power of the hat as he dances gracefully to Smile. Then there is the troublemaking Sneaky who is marvelous with his rogue glove during This Place Hotel as well as Working Day and Night. The Mephisto are the true antagonists during the event. These evildoers are exhibited in tangible forms like televisions, cameras and radios. The Mephisto are villainized throughout the production for their connection to the paparazzi and other media. As these four characters evolve and battle with Mephisto during the event the audience is given a chance to understand why they represent Michael’s vision of life with joy, peace and kindness. The artists on stage during Michael Jackson ONE use an urban style dance technique that requires the dancers to rely on rapid movement between fast and slow. This style of dance is quite evident during Smooth Criminal where Mephisto’s gangs of trench coat wearing evildoers perform stunning dance moves that involve summersaults, flipping and twisting. Shadows large and small appear on the stage behind veils of white curtains during Planet Earth and the Earth Song. The mystic and illusionary qualities of the shadows are mesmerizing. Michael Jackson ONE unveils Michael as a person who was full of hope and high spirits as well as someone who was magical in many different ways. During Man in the Mirror there is a mystical effect when Michael’s spirit and image dances with the multiple multimedia effects. 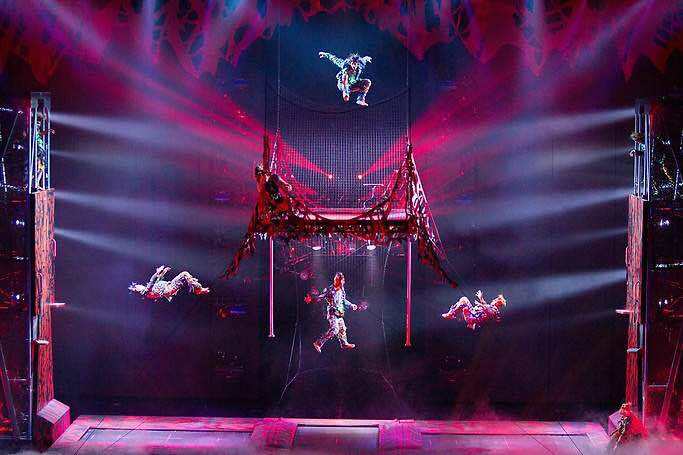 The production is fierce with coordinated acrobatics and aerial bungee artists adding excitement to the show. At one point during the show another character named Wink is released from Michael’s Magic Trunk and the mood gets a little more magical when he dances in mysterious ways to I’LL Be There and Never Can Say Goodbye. Another spectacular moment is during the hit song Beat It when eighteen dancers wearing white fedoras engage feverishly in a choreographed confusion that includes acrobats and aerialists using bungee cords. The antagonist Mephisto battles with Michael’s positive actions of hope, dream and comfort throughout the event and the misfits never waver. 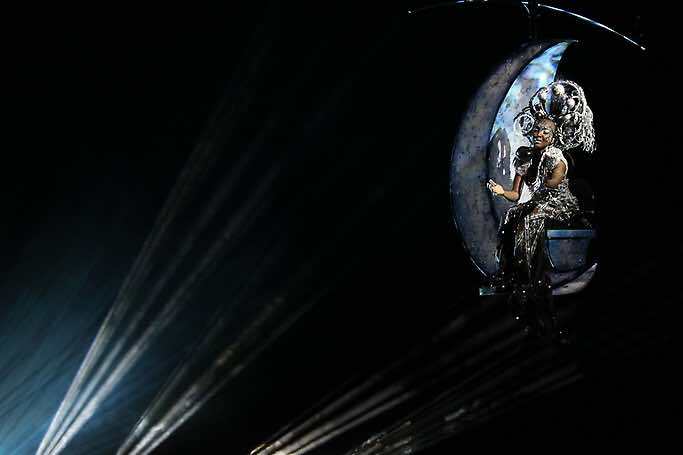 When the Moon Goddess gracefully appears on stage riding a half crescent moon during Stranger in Moscow, the audience is simply moonstruck. The Michael Jackson ONE Theater at the Mandalay Bay Hotel and Casino holds 1,800 guests. The attention spent on multimedia effects and sound is very impressive. Each seat has three built-in speakers for an optimum surround sound experience. There are 550 lights with 300 custom made LED displays, 26 projectors, 11 televisions and a forty feet by thirty feet LED wall. The choreography created by this technology is absolutely one-of-a-kind. Michael Jackson ONE will continue to please audiences with the delightful twists and turns these urban style dancers bring to the stage. The overall theme of the production has guests smiling when they leave while remembering only the good things in life like peace, harmony and unity. 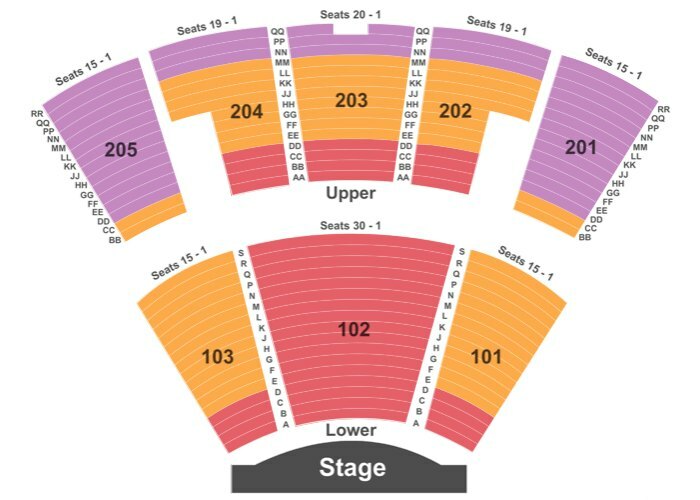 Best seats for Michael Jackson ONE Las Vegas show: The show is performing within it's own venue at the Mandalay Bay Hotel and Casino. The venue holds 1,800 guests. The seats range form best view seating, premium view seating, standard view seating, side & rear view seating and upper side corner view seating. The chart may look confusing, but should give you a good idea where the stage is and what view you might be getting. Keep in mind that there are no really bad seats in Mandalay Bay's Theater, but there are BETTER seats! There are few acrobats in this show compared to other Cirque du Soleil shows, so the rule of thumb here is - the closer to the center of the stage - the better view. Michael Jackson ONE is written and directed by Jamie King who had a long history of working with the King of Pop whether they were in the studio or on a touring stage. The cast of the show is quite diverse. There are over sixty artists who have backgrounds in dance and gymnastics. The cast is represented by over twenty different countries and five continents. The Misfits are represented by the following artists; Brazilian born Gabriel Amaral plays Clumsy, Jade Shu who resides from Italy plays Shy, New Zealander Reimy Jones portrays Smarty Pants and Sneaky is depicted by Xavier Mortimer who hails from France. Other performers include Ngame, the Moon Goddess is played by Valerie Kimani from Kenya, Wink who is portrayed by Trent Jeray Mendoza from the United States, Aleksandr Wade and Frenchman Jean Sok. Performances run Monday, Tuesday, Friday and Saturday at 7:00 and 9:30 P.M. with Sunday shows at 4:30 as well as 7:00 P.M. Michael Jackson ONE Tickets are on sale now and range from balcony seats to best view seats which put you front and center for the whole show.